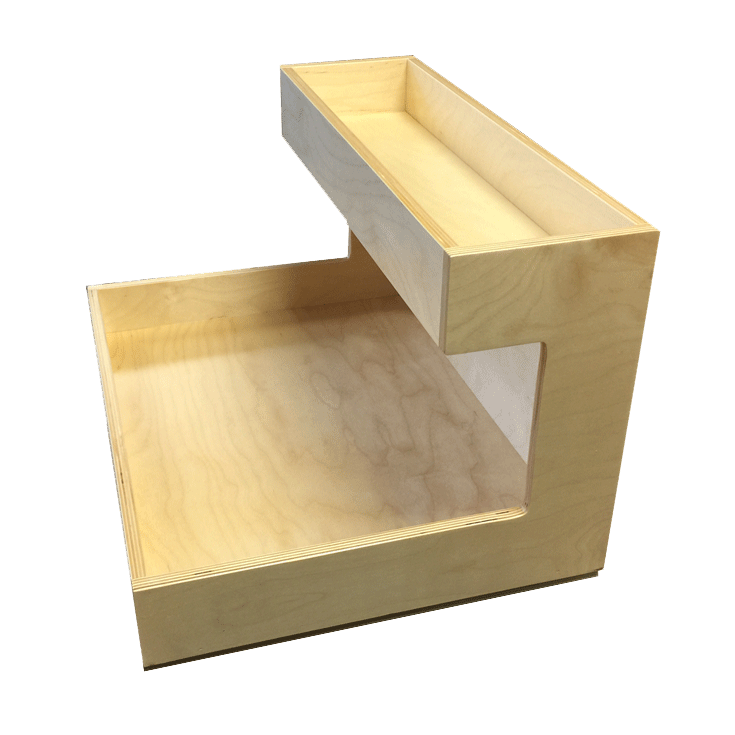 Conveniently store items while maximizing your under sink vanity space with an L-Shaped Organizer. 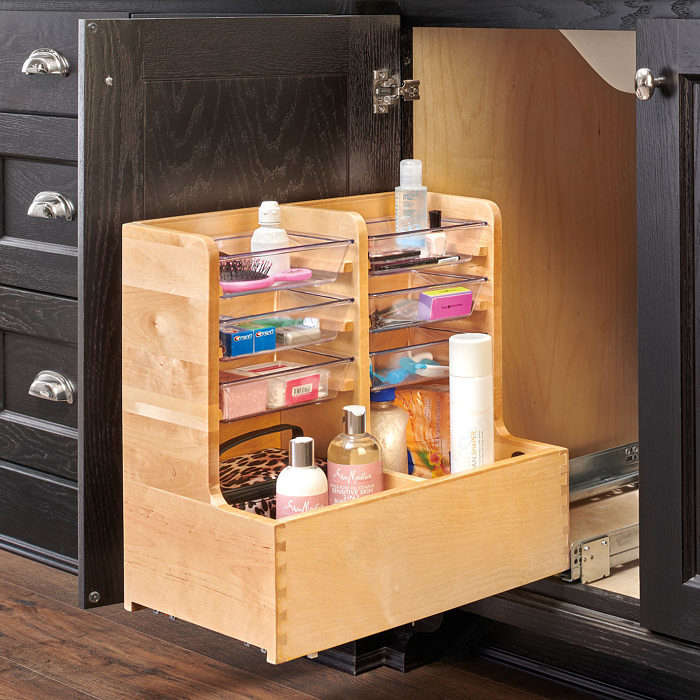 Designed for 24” and 30” vanity sink base cabinets and made of maple dovetail hardwood with a semi-gloss finish, this organizer features a unique frame that fits around obtrusive plumbing and glides on full-extension, TANDEM, 90 lb. 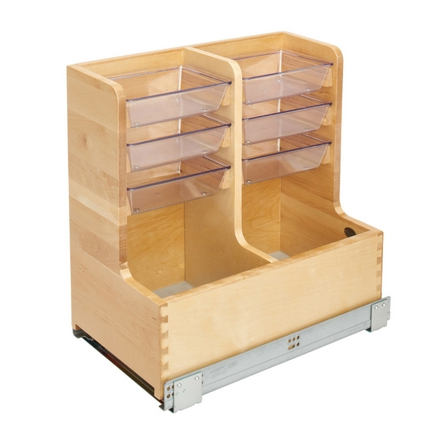 rated slides with BLUMOTION soft-close and includes non-skid vinyl lining on the lower level and six acrylic bins for the upper level of storage. Our under sink caddy transforms wasted space into organized efficiency. 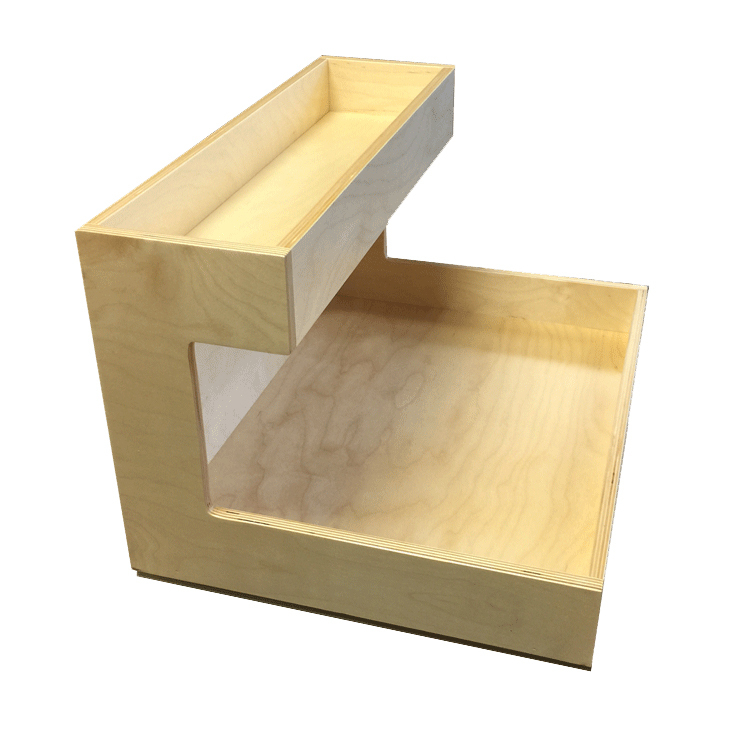 Made from pre-finished 1/2" Baltic Birch with dovetail corners construction. Can be ordered for right or left side installation. It comes fully assembled with full extension ball-bearing glides in place. Installation require only 4 screws to be attached to the bottom of the cabinet.